Birdwatching – or birding, as its more committed aficionados call it – has a culture all of its own, something you’d never guess if you stuck just to the field guides. 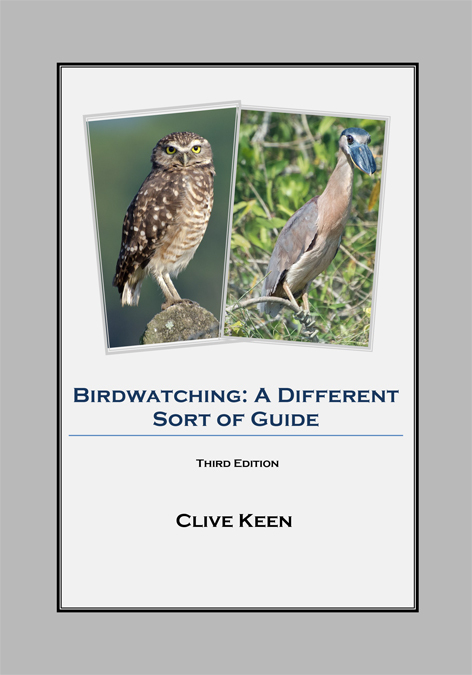 This book is emphatically not a field guide, but it could be the closest thing currently available to a guide to birdwatching culture. There’s surely a need for such a thing, since the culture is a large part of the fun. Experienced birders will smile and nod their heads a lot as they read through this collection of 89 articles, while beginners will find themselves entering a world much richer, more thoughtful, and more entertaining, than they’d ever have imagined. Birdwatching is just as much about the watchers as the watched, and watching is the prelude to a great deal of reflection. Why do people watch birds? Why is it so compelling? Can we ever get inside the birds’ heads? Do birds do things for the sheer fun of it? Should we rescue the bird in the predator’s talons? Why do birders refer to a bill rather than a beak? Questions spring up by the moment when you are watching birds. Sometimes they could be shared only with other birders – questions about the ethics of listing, for instance – but sometimes they could be shared with everyone, such as what it means to be completely in the moment. Many of the articles in this book have been published elsewhere in naturalist magazines. The very first essays saw the light of day in a column called “Natural Mistakes” in BC Nature. These were humorous, but sometimes more thoughtful ideas needed expression, and that led to a column called “The Reflective Birder” in BC Birding. Then, as a spin off, some articles began to appear in a photography journal. Other articles were also written which, on reflection, wouldn’t suit a magazine editor, but would round out the current collection nicely. The first incarnations of this book were Amazon electronic publications, using a technology incompatible with photographs. That was a great shame, since the original articles were always well illustrated, and the photographs told much of the story. Having created hard-copy versions to add those photographs – now up to 178 – the articles, originally written in random order, were corralled into themes. And then still more articles were added, and earlier ones revised. The book you are holding is thus, in reality, the sixth version of the publication. Like Topsy, it just grow’d.